Many people assume that the fishing must be great due to the lack of water and how it has concentrated all the fish into one little puddle. 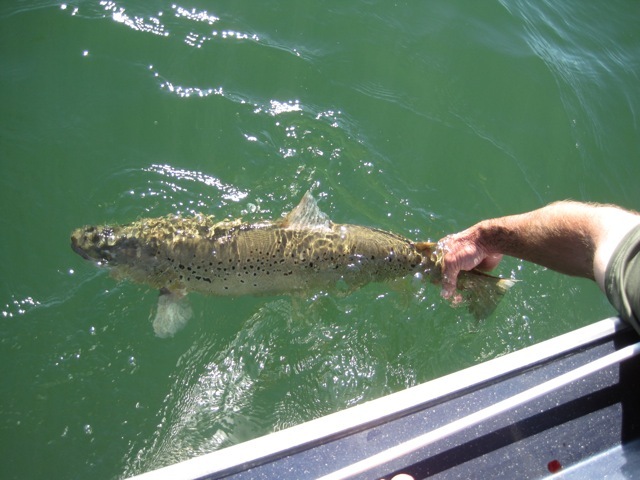 Pretty soon we will be able to catch World Record Fish by hand. No more boats, rods and reels just reach down and grab the one you want. Carefully sneak up behind the fish and grab them by their tail (kidding). Does the low water make the fishing better? No, unfortunately it makes the fish very uncomfortable and leery. They feel threatened by the smallest change in environment. Here is fish habitat that has gone high and dry. When the water falls fish lose real estate and are forced to relocate. This means the will have to adapt to a new area. During this adaptation they are in a negative mood because they are uncertain of their surroundings. This makes for fairly tough fishing conditions. After months of this falling water pattern they will feel confined as if they are living in a fishbowl. Notice the high water mark off in the distance. That is a lot of fish real estate that is out of the water. On the other hand, when the lake stabilizes and starts to fill, the fish will be able to let their guard down and explore new areas. At this point fishing can become exceptionally good. 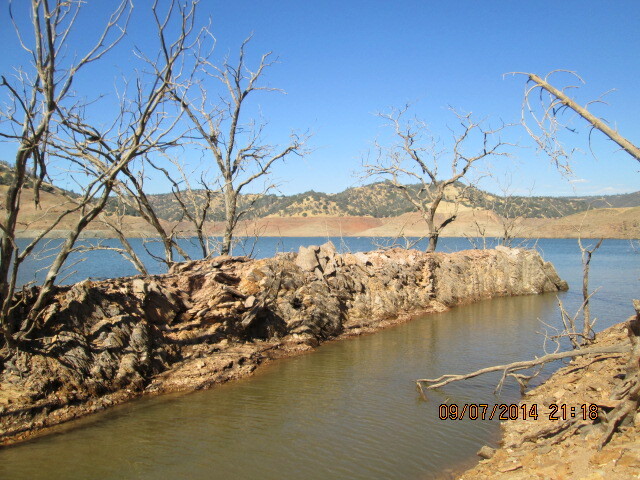 New Melones is California’s fourth largest reservoir. 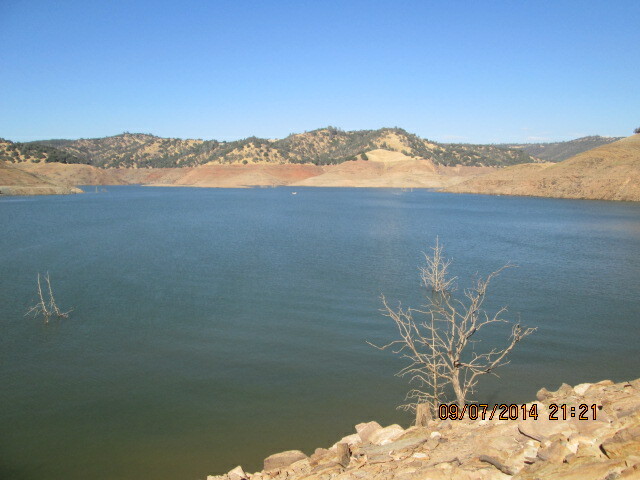 To date it is still an extremely deep reservoir with a large portion of the lake exceeding 200 vertical feet. This is the kind of winter we are looking for. The lake stabilized in the beginning of October and started to rise in November. Overall the lake came up 100′ from November to July. Lets keep our fingers crossed.